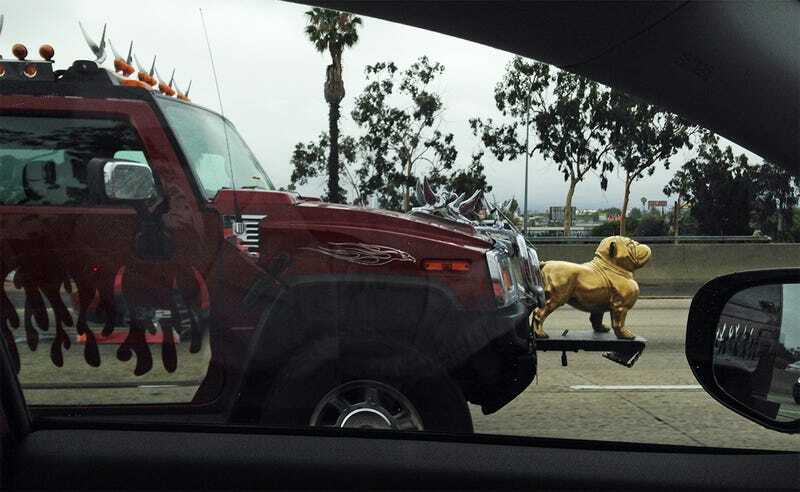 There’s actually another golden dog on the back, and the entire roof is chrome swans. L.A. traffic is crazy. No, really.